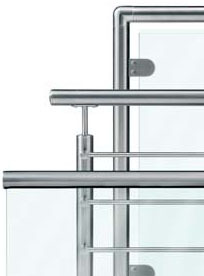 Clear View Balustrades was established in 2006 to address the growing demand for the more unique balustrade requirements of today's architects, designers and the homeowner. Based in the Cape Town area, we are a family owned and operated Company. Whether you are a homeowner or a commercial organization, we at Clear View Balustrades will endeavour to meet all your requirements at a professional level. We are an exciting and innovative company that incorporates modern balustrade design with functional and practical application - specialising in customized glass and stainless steel balustrades for your individual requirements. "If you can visualize it, we can create it"
Clear View Balustrades prides itself on offering its customers exceptional service, quality and hands-on management throughout the entire process - from the initial assessment, design and installation - through to job completion. In addition, all our components and fixing materials are of the highest quality thereby ensuring that your investment is maximized. Our railings incorporate themselves into your architectural and garden design thus offering no hindrance to your view whilst simultaneously ensuring your safety and protection from the elements.